How could they leave these out? Forza Horizon 4 is a joyous game about racing around the British countryside knocking over walls, and powersliding around Edinburgh. Its version of the UK is beautiful but lacking. The map smushes together Scotland and the Lake District in a dreamlike rural hybrid space. Where is all the traffic? Where is the piss-stained concrete? There are loads of great places to race around, and you don't even need to include London. A Micro Machines playset made real, once you enter Birmingham's spaghetti junction there is a chance you may never find your way out. It’s the perfect fit for Forza because it would be fun to drive around at 100 mph, and it introduces a panicked escape room quality to races. The finish line is in there somewhere: good luck finding it. Turn Forza Horizon 4 into a puzzle racer with this spectacular piece of road engineering. It’s going to be a severe test of drivatar AI, but if they can conquer Swindon’s magic roundabout then they’re a step away from Skynet sentience. You won’t get very fast races here and it's basically going to devolve into a dodgems fight, but the novelty value would be worth it. Image courtesy of MicaelMaggs, shared under Creative Commons license CC BY-SA 3.0. This town already looks like a game designer got carried away. It was designed by British architect Sir Clough Williams-Ellis and is most famously known as the setting for the classic surrealist TV series, The Prisoner. There isn’t much room for cars here but a little bit of artistic license can solve that. It is essential that the update comes with the car Patrick McGoohan drives in the intro: a Lotus Seven S II. Before you accuse me of including this fine town because of its name, I’ll have you know that it’s a perfectly lovely place in Dorset. 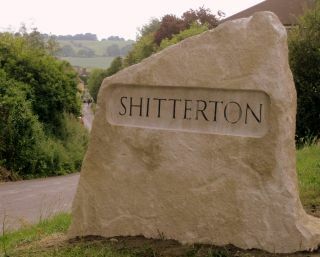 Apparently people kept stealing the town sign, for some reason, so the town banded together to buy a 1.5-ton stone sign that could never be nicked. This would be the perfect fast-travel point. Image courtesy of OpenStreetMap, shared under creative commons license CC BY-SA 3.0. I worried that the Inner Distribution Road of Reading may prove too glamorous for the world of Forza Horizon, but we shouldn’t be denied one of Britain’s finest dual carriageway ring roads. It circles Reading like a noose and on a bad day nothing there is allowed to move faster than a roomba. Photo by DAVID ILIFF. License: CC-BY-SA 3.0. Experience the thrill of stalling on a preposterous hill and then get stuck into the city centre’s one way system. Go in one end, get spat out somewhere else, get a ticket for having a wheel in the bus lane, and never go fast, ever. 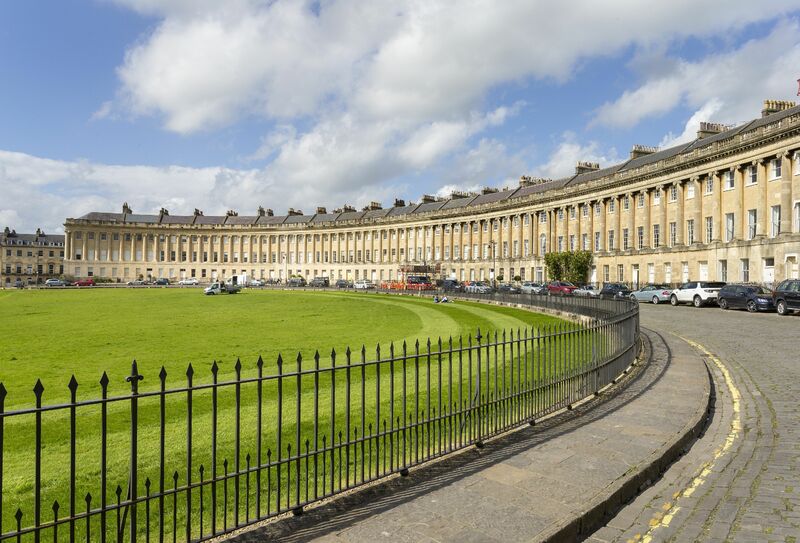 The city of Bath—home to PCG UK—wasn’t really made for cars, but it looks quite nice. Plus you get to drift around the Royal Crescent. This rugged island might not be big enough for cars and there is the small matter of the Irish Sea to deal with, but there's good racing there. The Isle of Man TT is consistently thrilling (if extremely dangerous), and a videogame rendition with fast off-road vehicles could be a treat. Alternatively, put some of those sidecars above in Forza Horizon 4 and have a co-op player dangle off the back. You could have the entire Irish sea freeze in winter so we can skid on over. It's made-up Forza world anyway, we can suspend our disbelief to reach new zones. Forza Horizon 4's upcoming expansions will add 'new world locations', so fingers crossed they've read this article by then. Meanwhile we can enjoy finding the silliest cars in the game, and unlocking all those cars hiding in barns.